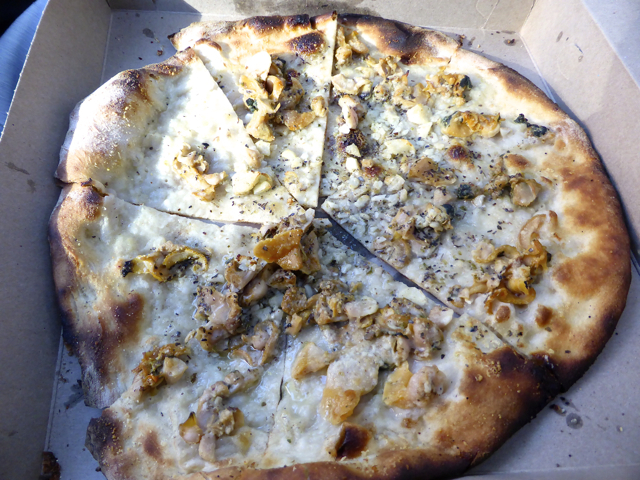 Tried a clam pie and a tomato with mozzarella pie from Frank Pepe Pizzeria Napoletana in New Haven, CT, one of the oldest pizzerias in the US. 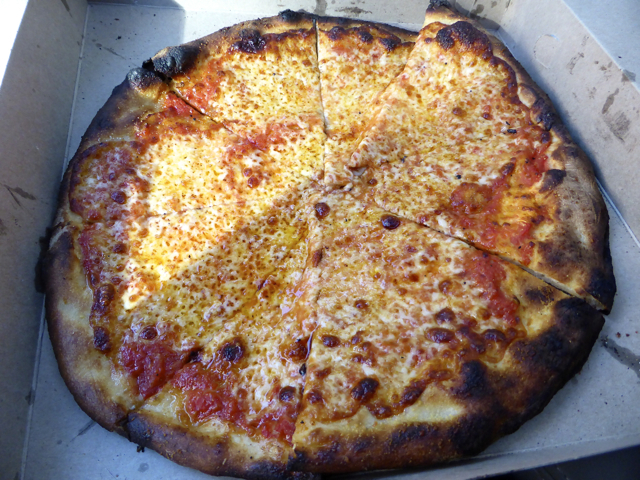 Here’s a little wiki-history of the place and there are many posts about Frank Pepe’s at Slice. The clams had a wonderful sweetness – definitely fresh not canned – and the tomato pie had a firm bite, a little too crispy for me but still delicious.